Police have just released footage of a Mercedes-Benz C-Class being stolen in the British town of Solihull. Usually, a simple vehicle theft wouldn’t be particularly newsworthy. However, this tale is a little different as the Mercedes was unlocked and stolen without a key. 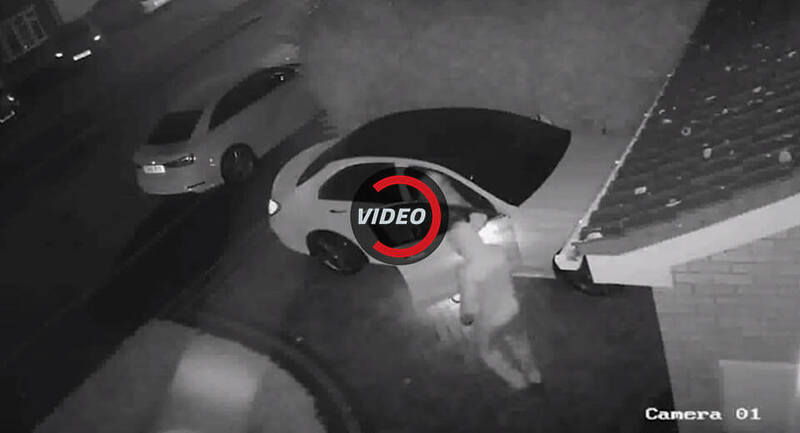 CCTV footage of the crime shows the two thieves approaching the car with two relay boxes. This little device can receive the signals from a keyless remote through walls, doors, and windows. Once one of the thieves captures the signal, it is automatically passed through to a second box being held near the car, opening the vehicle’s doors. According to local authorities, the C-Class has yet to be recovered, despite the entire crime being captured on film. Understandably, many vehicle owners have become concerned about the security of keyless fobs in the wake of the theft. Consequently, experts at Thatcham Research have suggested that concerned drivers should contact their dealer for information about how to prevent such crimes. West Midlands Police officer Mark Silverster said there are ways for owners to protect against such thefts. “To protect against this type of theft, owners can use an additional tested and Thatcham-approved steering lock to cover the entire steering wheel. We also recommend Thatcham-approved tracking solutions fitted to the vehicle,” he said.